I was wrong. But it wasn’t because of the drinking. I can’t be the only one who keeps the live feed from the Deep Space Network bookmarked on a cell phone. Yesterday, while waiting for my beer to arrive at The Goat, an east Dallas dive bar at the tail end of its 3 to 6 pm special on domestics, I opened the DSN Now webpage. That’s when I saw it: a signal between an antenna array in Canberra, Australia and the Opportunity rover currently enduring a severe and possibly fatal dust storm on Mars. I did a double-take and waved my phone at the bartender, muttering about messages from Mars. She dropped the bottle on the table and turned away. There’s no way I just happened to look down at the very moment when this intrepid interplanetary vehicle signaled that yes, it was alive, somehow communicating through the storm. Right? But there it was. The DSN Now website shows real-time transmissions between various spacecraft and large communication arrays built across the Earth. All the great probes are represented here: Voyager, Hayabusa-2, InSight, and more. The page has cool metrics, like the spacecraft’s distances from Earth and the round-trip time required to send a message. Martian spacecraft have uplink and downlink windows that vary throughout the year due to differences between Earth and Mars rotations, according to Canberra. That means rovers receive commands in the morning, Mars time, and then transmit data later in their day. It was 9 AM or so in Australia when the signal appeared on my phone, so the timing made sense. And he certainly would have. The fate of Opportunity has gripped the space community. Social media benedictions for “Oppy” approach a Disney level of anthropomorphic overkill. But it’s impossible not to root for the machine to pull through, which would somehow demonstrate that mankind might just be audacious and clever enough to live on more than one planet. There were many modern miracles involved in my happy hour dalliance with the Opportunity rover—deep space communications, space based personal electronics, advanced robotics—but the one that I should have taken into account was modern media. 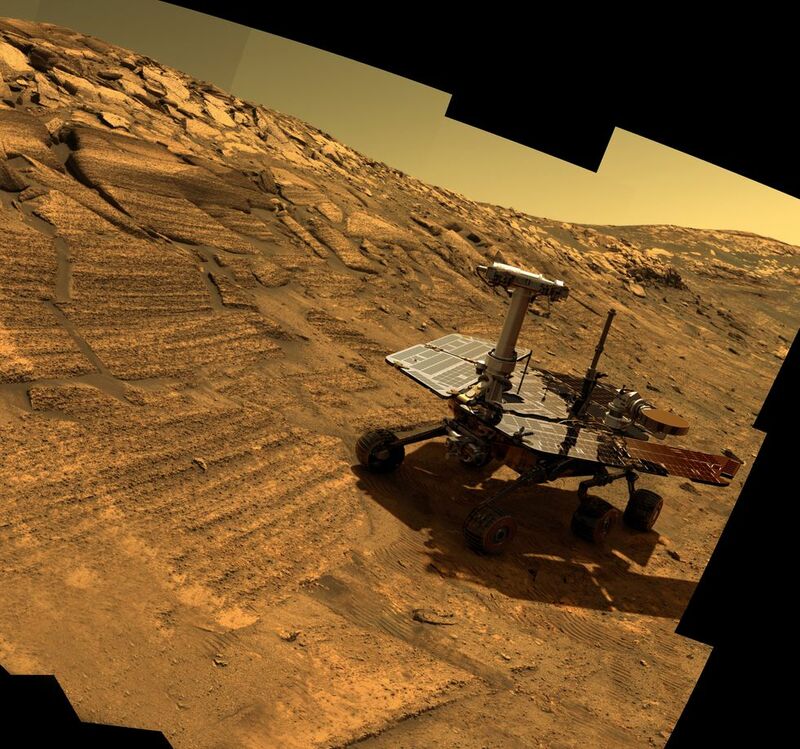 If Opportunity woke up, it would have been global news before I even set my beer down. But for just a few hours, I felt like the rover and I had a short conversation, just between us. From my barstool at The Goat, Mars never felt so close.